The choir chapel “Musica Linguae” (from Latin – “Music of the language”) was founded in 2000 at Moscow State Linguistic University (MSLU). It is the linguistic orientation that determines the choir repertoire – it includes pieces in a variety of foreign languages (European, Eastern, languages of CIS countries, etc. ), and this highlights MSLU chapel among similar student groups. The collective was formed on the basis of the choir of German language Faculty, to which students from other faculties gradually began to join, who wanted to sing not only in German. That’s why it was decided to organize the chamber collective «Musica Linguae». Today the chapel is an invariable participant of all solemn university events – from New Year’s concerts and meetings on May 9 to international conferences, linguistic contests and receptions of high-ranking foreign guests. In addition, the collective regularly and successfully performs at various concerts in Moscow and Moscow region, and also participates in Russian and international festivals and competitions. “Musica Linguae” is a laureate of international spiritual festival “Silver Bells” (Daugavpils, Latvia, 2007), festivals “Festos” (2007, 2015, 2016, 2017), “Freckle” (“Vesnushka”, Yaroslavl, 2011), “Young Voices” (Nizhny Novgorod, 2012), as well as a prize-winner of competitions “Spring in LETI” (St. Petersburg, 2008) and “Canta en Primavera” (Malaga, Spain, 2015). The choir took part in the biggest international choral competition “World Choir Games” twice. In 2014, in Riga (Latvia), it was awarded a silver diploma of IX degree in “Chamber mixed choirs” category of Open competition. 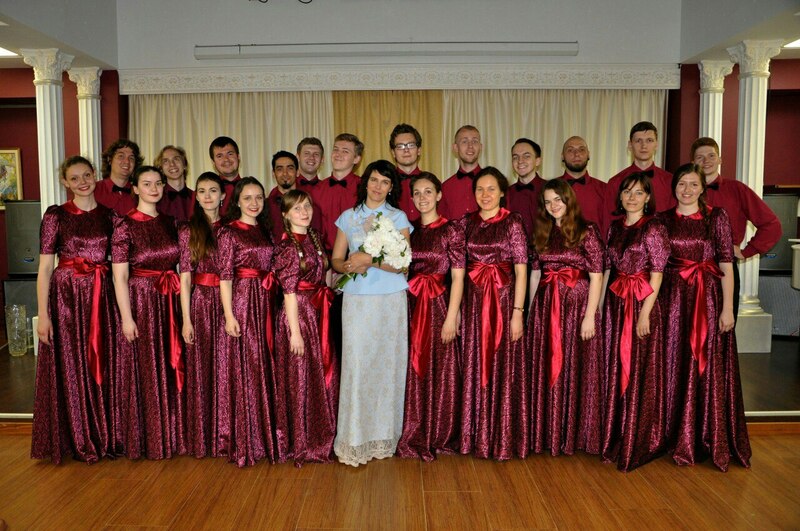 In July 2016, the chapel visited World Choir Games in Sochi and received 1 silver (“Pop Choirs” category) and 2 gold diplomas (“Folklore a Capella” and “Chamber Mixed Choirs” categories), thus qualifying for participation in Champions Competition at the next World Choir Games in South Africa. Choirmaster of the chapel is Boris Seleznyov, assistant to the art director, talented teacher and conductor, graduate of the school at Moscow Conservatory. Founder, Art director and conductor of MSLU chapel “Musica Linguae”. A professional musician who graduated in 2000 from the music school at Tchaikovsky Moscow State Conservatory and from conductors faculty of Gnessins Academy.